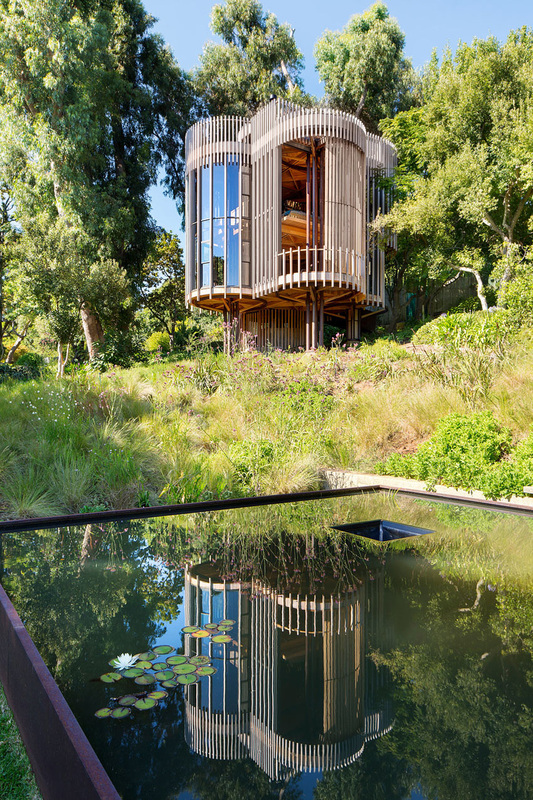 Tree houses are quite popular since they remind childhood and force you to think of time spent in fairly small spaces, sparsely furnished, if at all, and of tiny structures coarsely built into trees in our backyards. 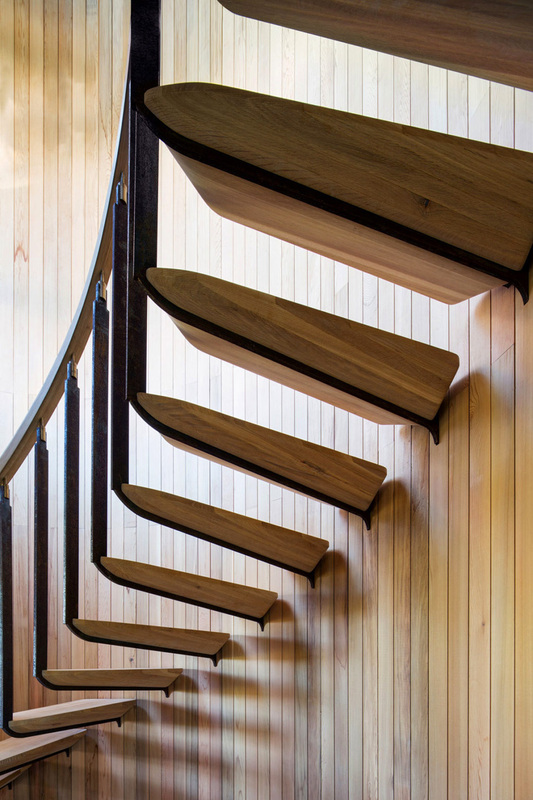 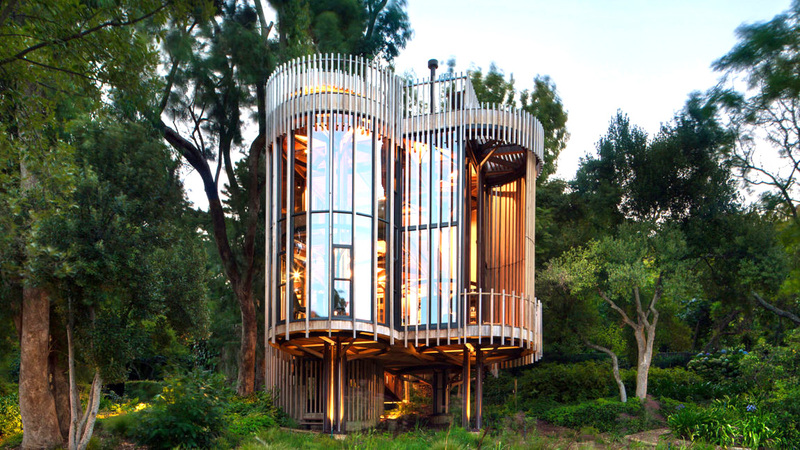 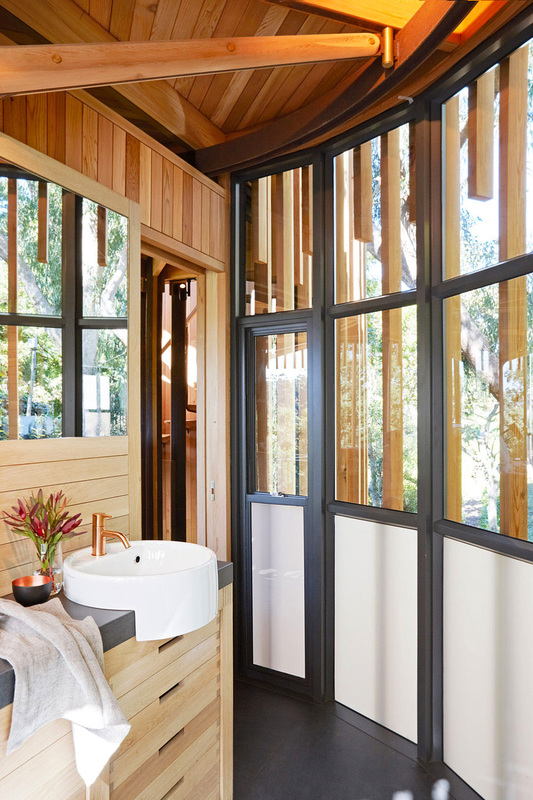 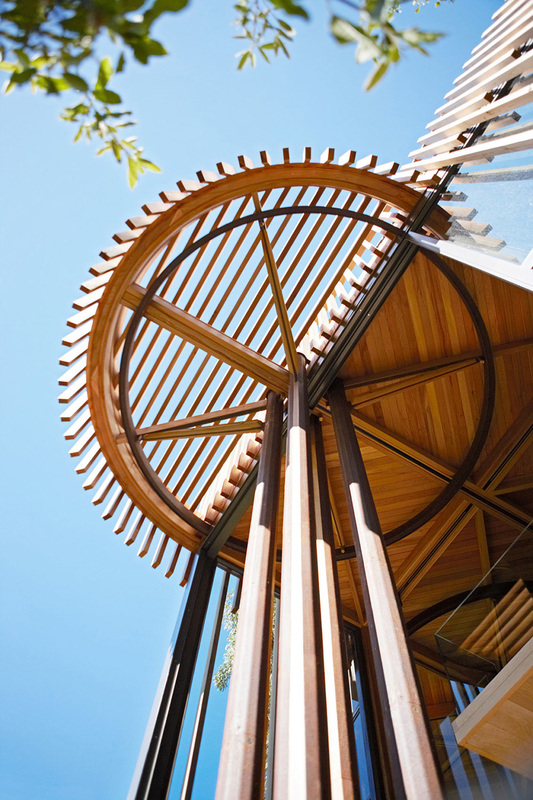 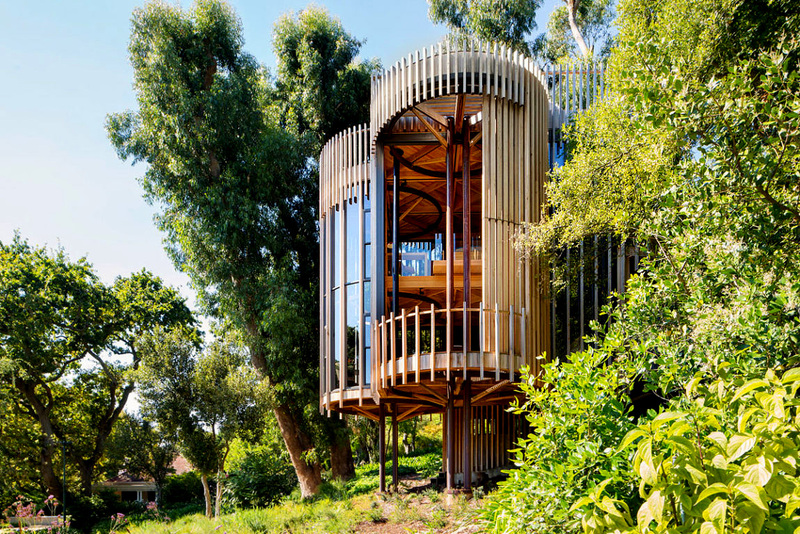 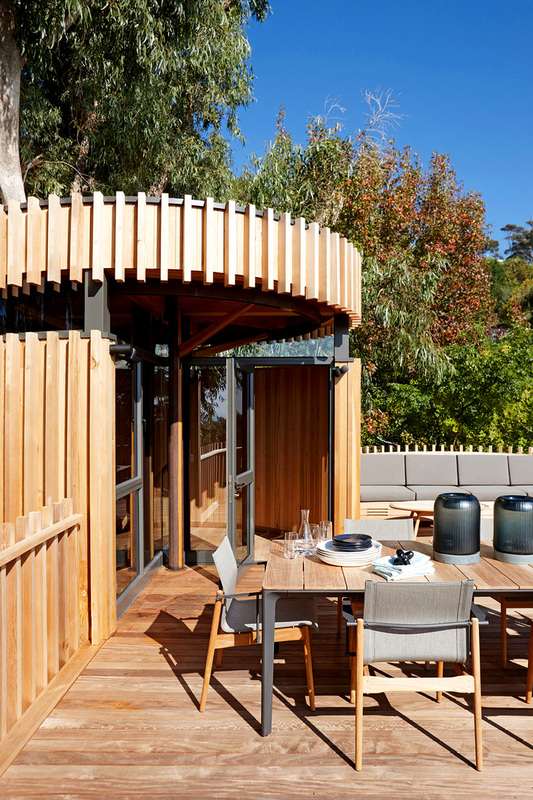 The Cape Town-based architectural firm Malan Vorster has created a contemporary tree house that, once you’re inside, makes you feel like you’re right at home. 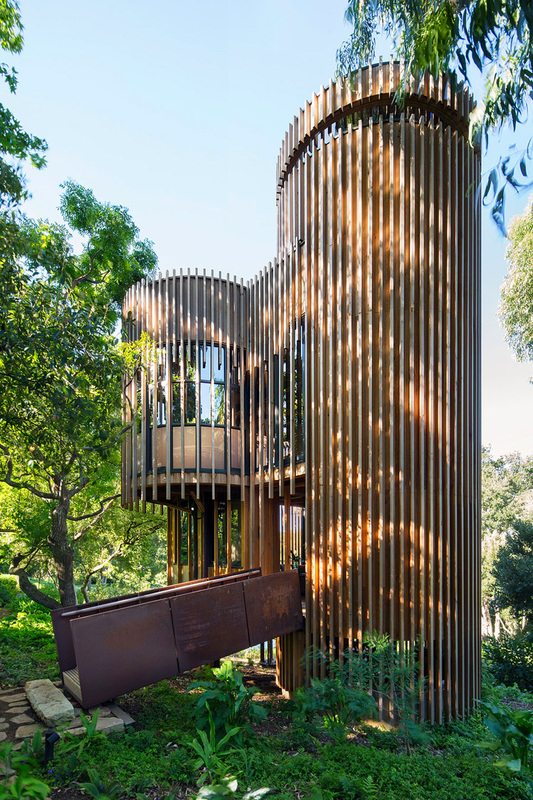 The structure, itself located in Cape Town, South Africa, is composed of four cylindrical wooden towers elevated on stilts, so created to provide the residents with views from in between the trees that surround it. 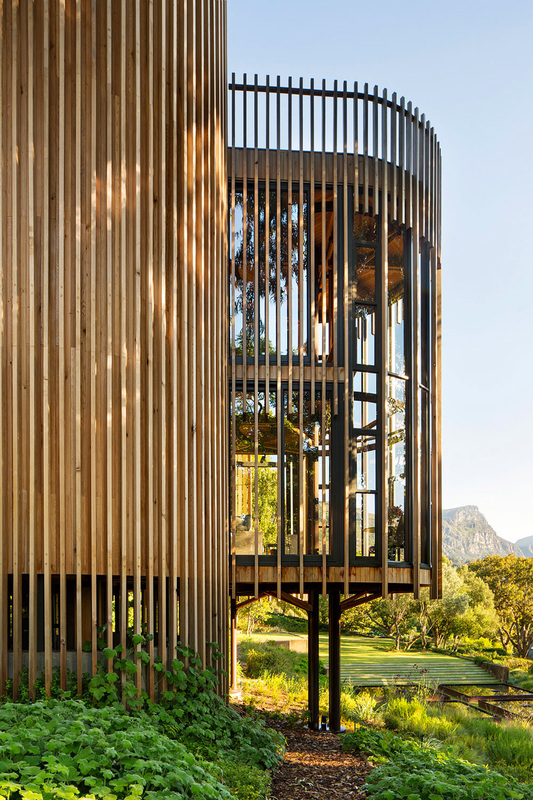 Located on a slope that helps facilitate these views, the home was built for a resident of the Cape Town suburb of Constantia, who wished to have a hide-away resembling the tree houses of their childhood. 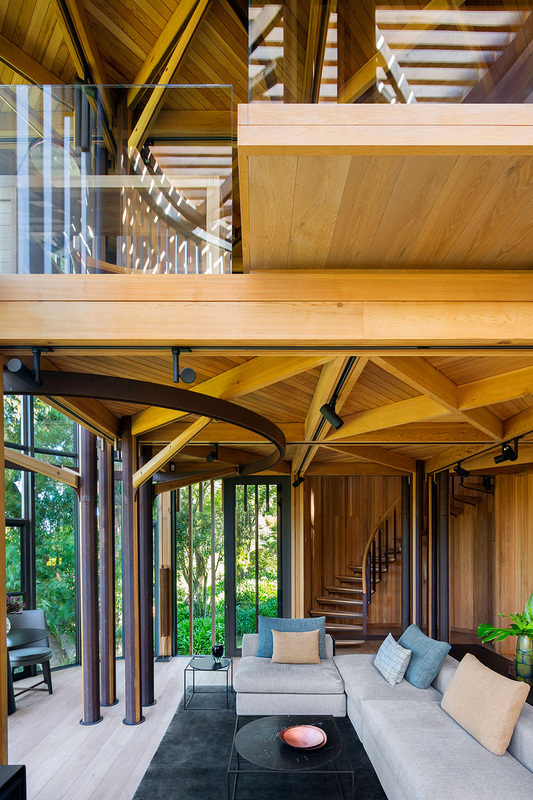 Red cedar battens cover the outside of the glass walls, which helps in creating a perfect balance between the resident’s enjoyment of the views the privileged location offers and their privacy. 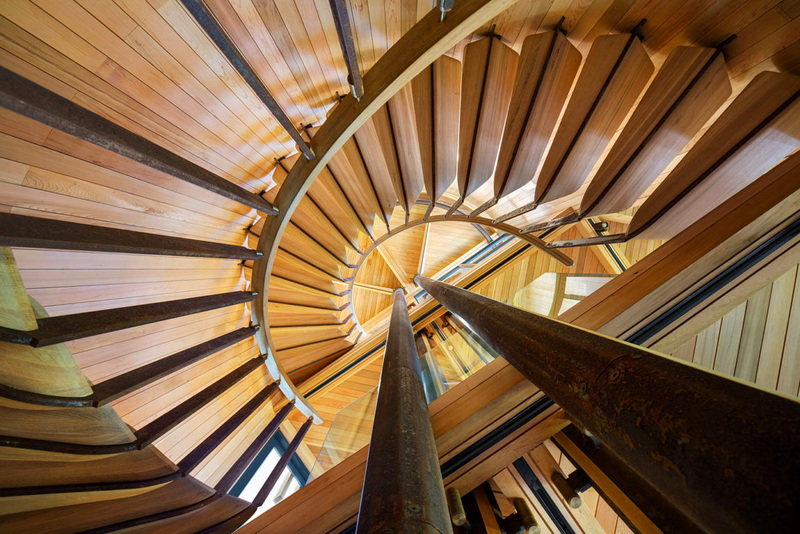 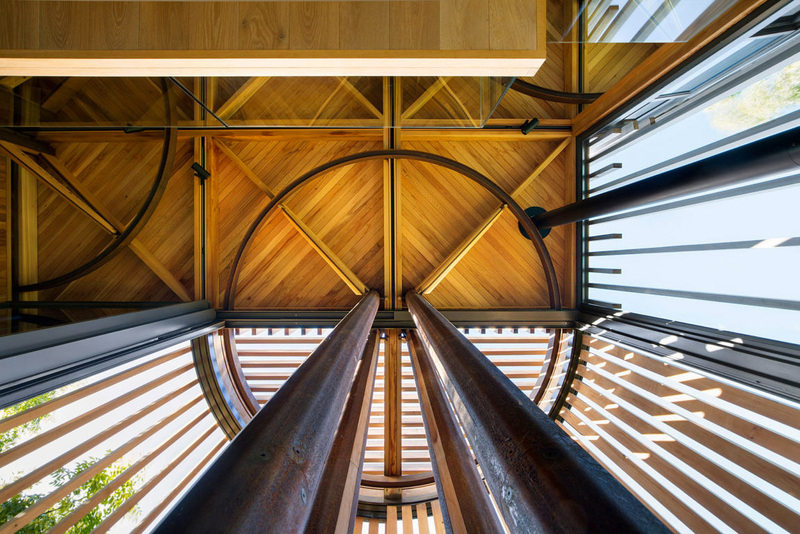 The interior is pure elegance set against the peculiar wood and iron structure that the architects have wrought. 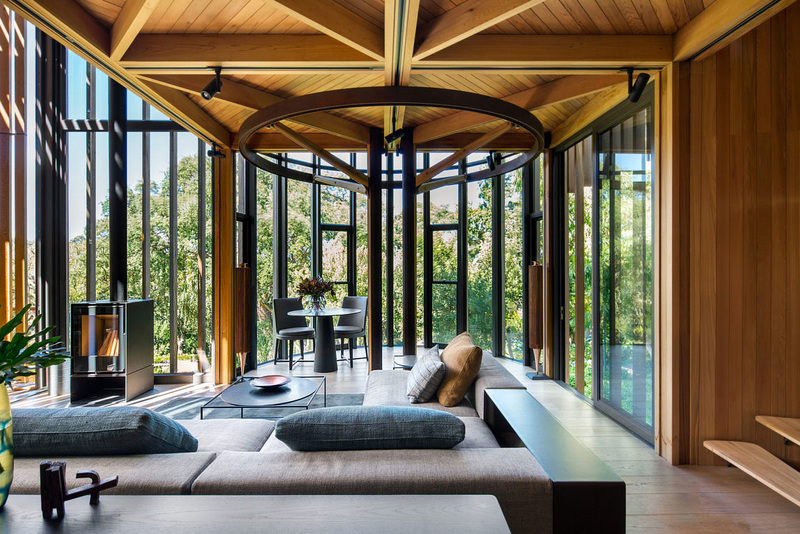 Contemporary furnishings fill the space, making this not only a nostalgic escape, but also a comfortable home.